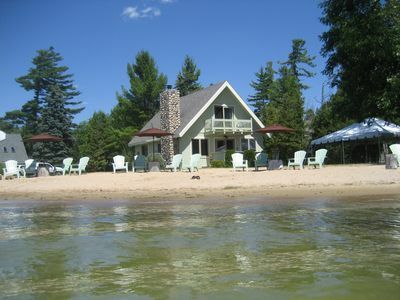 WELCOME TO OUR VILLAGE BEACH PROPERTY THAT SLEEPS 12! 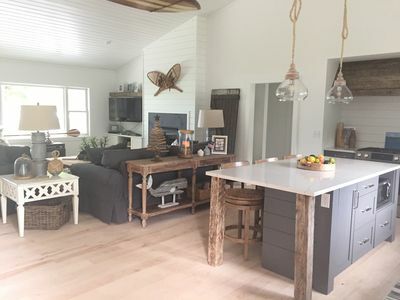 THE INTERIOR OF OUR 4 BEDROOM PLUS LOFT HOME HAS AN OPEN FLOOR PLAN AND 5 FULL BATHROOMS THAT MAKES THIS YOUR LUXURIOUS VACATION HOME AWAY FROM HOME! 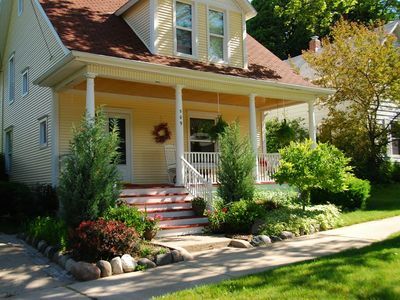 IF YOU HAVE AN EXTREMELY LARGE GROUP BOOK BOTH PROPERTIES TO ACCOMMODATE 26 PEOPLE! 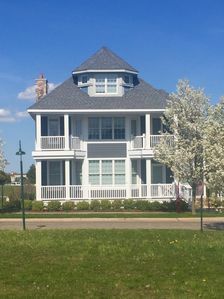 WALK TO THE BEACH, RESTAURANTS, SHOPPING, POOL, BOATING AND MORE! HOP ON YOUR BIKE FOR A TOUR OF NORTHERN MICHIGAN! Upon your arrival you will check into the Bay Harbor hotel Lobby. 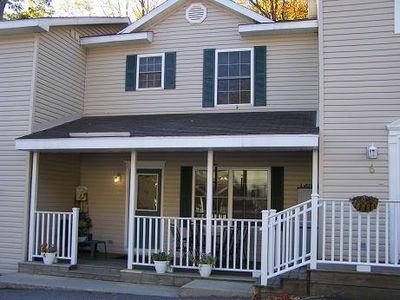 There you will be greeted and given your keys to the home and also the swipe card to enjoy the pool and workout center. 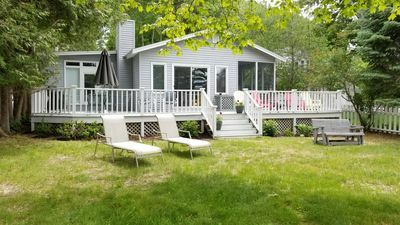 The cottage is within walking distance of the remarkable selection of shops, boutiques galleries and restaurants in the village of Bay Harbor. The Wheelway is close by for biking, running and walking! 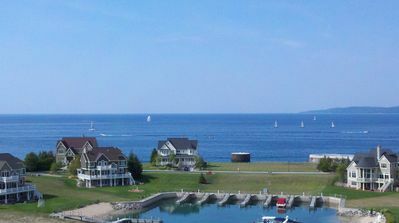 The 26-mile Little Traverse Wheelway provides exciting changes of scenery—including many views of sparkling Lake Michigan—as it winds from Charlevoix to the northern outskirts of Petoskey and eventually to Harbor Springs. Most of the route is paved, with short sections on boardwalk, sidewalk and area roads. For golfers the area of northern Michigan has 18 spectacular courses. Golf Magazine has called the area #2 in the entire country for concentrated golf quality. 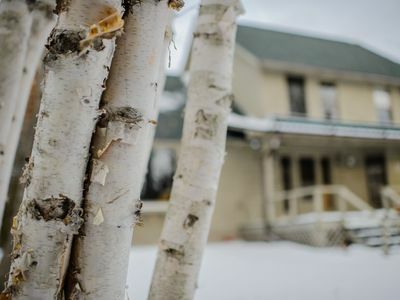 For the skiers and snowmobilers it is a 15 minute drive to Boyne Highlands, Boyne Mountain and Nub's Knob. Boaters need to look no further. 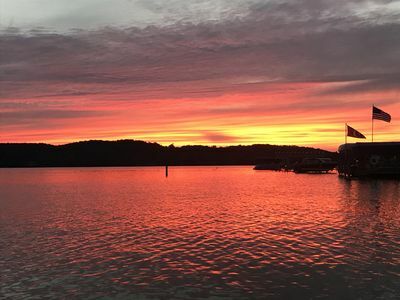 This is a boaters paradise, Bay Harbor has been named one of the "Top Ten Ports In North America" by Motor Boating Magazine, and one of "10 Best Family-Boating Resorts" by Boating Life, Bay Harbor Lake Marina is also a certified Michigan Clean Marina. 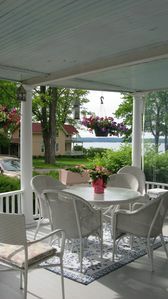 Spa goers, we also can’t forget to mention that the spa at the Inn at Bay Harbor is also just a short walk away. 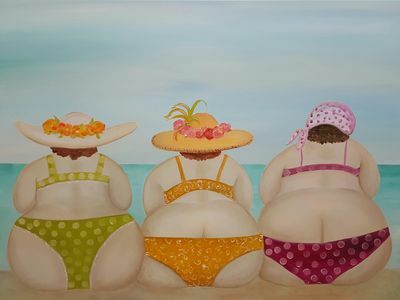 Have fun indulging and pampering yourself! Nothing beats the location of this home. 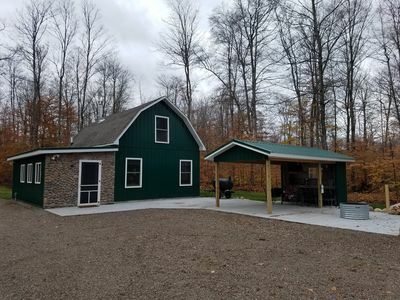 It is within 5 minutes of downtown Petoskey, 20 minutes to Harbor Springs, 30 to Mackinaw City and the ferries to Mackinac Island. 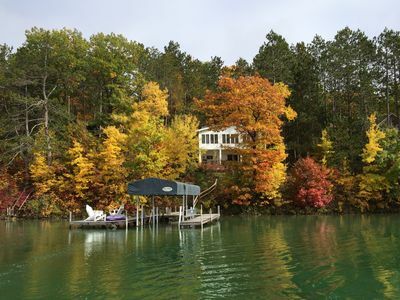 Enjoy all of what Northern Michigan has to offer! 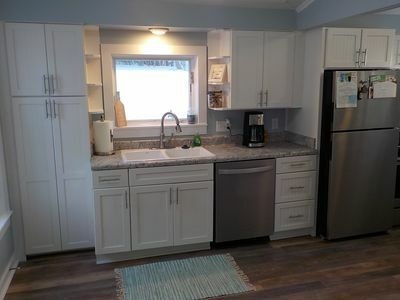 Included: Bedding, towels, hand soap, body wash, facial & bathroom tissue, hair dryer, ironing board w/iron, glassware, dishes, flatware, cookware, coffee maker, toaster, dish soap, dishwasher tabs, paper towels. 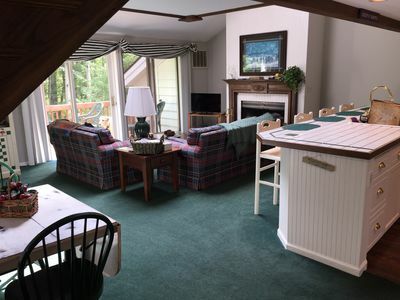 Flat Screen HDTV’s, Cable TV w/100 digital channels, WiFi, Major Kitchen Appliances, Washer & Dryer. Free private parking on site. Gas Grill, Beach Chairs and Beach Toys. 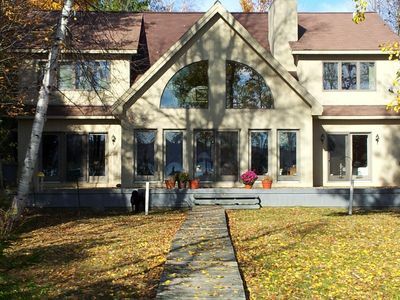 LEAVE YOUR WORRIES "BEHIND"..... A MEMORABLE VACATION HOME!!!! 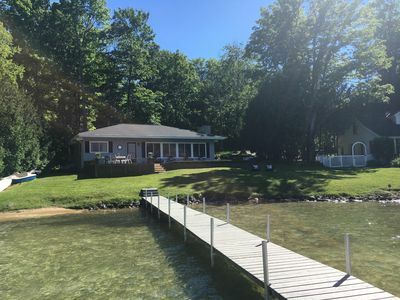 Best Location In Lakeside: Summer dates going fast! 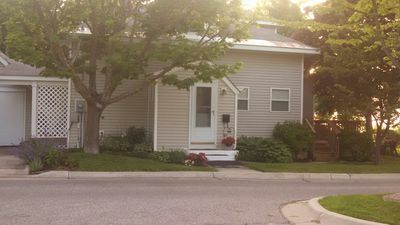 Beautifully Renovated 3 Bedroom Home in The Heart of Downtown Petoskey! 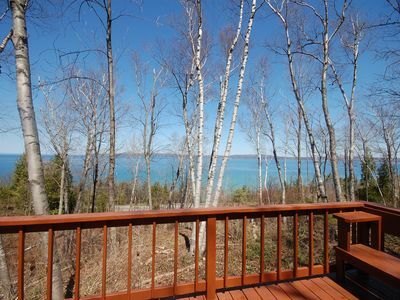 Exceptional Sunsets and the Expansive Lake Views, Minutes to Petoskey!